This seven-seat version of Volkswagen's second-gen Tiguan SUV is due out next year. It'll be called the Tiguan Allspace. Arriving in summer, the Allspace will launch successively in North America, China and then Europe, although it's only here in our region that we get the 'Allspace' moniker - elsewhere, it will simply be called Tiguan. Volkswagen has grafted 110mm into the middle of the SUV, to the benefit of interior space. 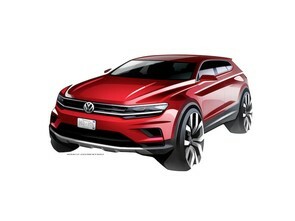 That should ensure a more flexible cabin, while Volkswagen is promising a wide range of equipment features. The Tiguan Allspace will debut in January at the North American International Auto Show (NAIAS) in Detroit, running from the 8th-22nd.